No game spoilers in this thread please. Halfway through the Ro16 and it's already been quite the ride! Group A finished mostly as expected with Flash advancing in first place despite strong resistance from Shine. Shine, himself best HyuN to take second place and advanced to the next round as well. Group B, one of the most stacked and highly anticipated groups to date was extremely exciting to watch and presented some of the best games this ASL. Sea, the ASL2 finals runner-up was eliminated in last place losing to EffOrt who was extremely solid overall. However, the major surprise was Soulkey who advanced in first place after beating both Bisu and EffOrt in quick succession. A monster has awaken? Bisu advanced in second place, showing the most multitasking intensive ASL game to date as he ripped EffOrt apart in their final match. Do yourself a favour, grab some popcorn and watch the vods if you haven't. Group C and D are coming up soon. In group C, Mong finds himself facing off against three protosses. Can he propel himself against the likes of Best, GuemChi and Jaehoon? On the other hand, group D is a bit more diverse and harder to call as Jaedong clashes with sSak, hero and the second best terran at the moment, Last. Can the tyrant muster the strength required to defeat such fearsome foes or will sSak have the final laugh even as he faces a good chance at elimination? Tune in to find out! As you wait, don't forget to check out the recaps of group A and B by BigFan and EsportsJohn respectively while BLinD-RawR previewed both groups on his own. Group C is set to start in . Let's get ready for some action! Coming into this group as the overwhelming favourite to advance in first place, Flash showed why he's the best BW player in the world right now dismantling both HyuN and Shine on his path to the Ro8. Against HyuN on Andromeda, a zerg favoured map, Flash managed to prevent HyuN from using his pre-planned build by constantly sniping hatcheries and shutting down HyuN's overall gameplan. 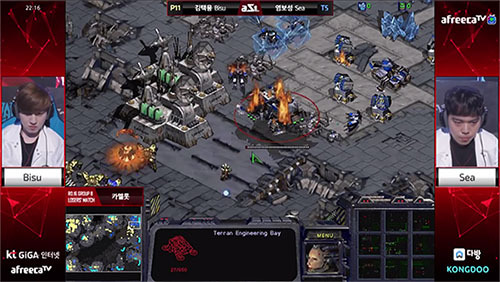 Eventually, HyuN folded after he was unable to establish a fourth and was facing down Flash's growing army and threat. The winners' game against Shine on Camelot, who got off beating ggaemo in his previous match, showed off Flash's masterful defense. After pressuring Shine, Flash was forced a bit back leaving only a small marine/medic force outside Shine's base. With overlord drop researched, Shine went for a drop in Flash's main and almost simultaneously, attacked his expansion with a zergling/lurker force (gif). He was able to kill some SCVs, prevent mining and forced Flash to lift his cc in his main, however, despite such strong aggression, Flash stabilized and attacked Shine with a large army soon after to advance in first place. A chance for Shine to well, shine! His first game was against Ggaemo on Andromeda and ended up being a typical ZvZ. Shine and his opponent both opened up with a similar build and got speed as soon as the pool finished. Amidst the zergling vs zergling battles, Shine got a small eco advantage and rode it to the winners' match with some good mutalisk micro to boot. There he met Flash and things went down in Flash's favour knocking him to the finals' match. In the finals' match, he had another ZvZ against HyuN on Circuit Breaker. After spawning cross-spawns, both players opened with pool first, however, HyuN also grabbed an expansion. Upon scouting this, Shine tried to put on pressure and take it down but it was well defended by HyuN until he just stopped making zergling for a mere moment. At this point, Shine elevated his micro to the next level and brought down the hatchery. With an earlier spire, Shine had earlier mutalisks and defended the large zergling counter-attack from HyuN to take quite the thriller. After making it quite clear during the group selection ceremony that he was not afraid of Flash, HyuN had his first encounter with Flash on Andromeda but was knocked down to the losers' match. There, he faced off against Ggaemo on Camelot. After both players opened up with a similar gas pool expansion build, HyuN hid some zerglings outside the range of Ggaemo's OL scout in his main then went for a large zergling attack, constantly following it up with even more zerglings. Through good positioning, he took the game, advancing to the finals' match and facing Shine where he lost the game and was eliminated. A surprising run to the Ro16 but all good things must come to an end. Coming into this group as someone that was underestimated by the other players, Ggaemo was obviously put-off by this attitude as shown during the group selection ceremony. Alas, his overall results, while not really surprising, were still disappointing for him overall. Hopefully he practices hard and can show much better results next ASL! Without a doubt, Bisu and Soulkey took it to the next level last week and played some of the most impressive Brood War we’ve seen in the last six months. Many expected an early exit for Soulkey, who was considered to be the weaker of the two Zergs in the group, but the sheer brilliance of Soulkey’s play not only kept him in the running for the Ro8, it got him there with a clean 2-0. In Soulkey’s first game against Bisu on Andromeda, he executed a perfect five hatch hydra bust after shutting down Bisu’s patented Dark Templar play and identifying the greed of his opponent. 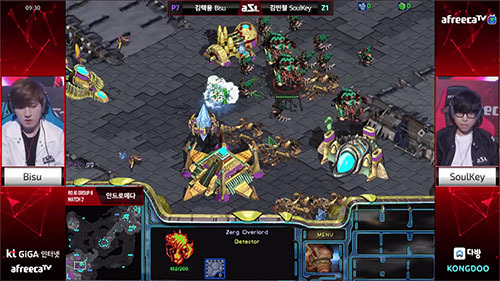 In the following game, although outmatched by effOrt’s superior mechanics, Soulkey found a window of opportunity to exploit effOrt’s lack of ground forces after an ill-advised trade in Soulkey’s natural. And just like that, it was a 2-0 for the unlikely hero. Bisu may have dropped his first game against Soulkey, but for the rest of the night he turned it up to 11 and looked like The Revolutionist himself during his prime. With elimination on the line, he faced off against Sea on the most Terran-favored map ever to grace the ASL: Camelot. Analysts and spectators alike expected Bisu to try and put a quick end to the Terran player, but Bisu played his own game full of reaver drops, nonstop attacks, and constant expansions across the map, slowly suffocating Sea to death. Sea held on until the bitter end, but Bisu had literally every remaining expansion on the map. Bisu did the same to effOrt in the final match on Circuit Breaker. His multitasking was off the charts as his corsairs flew around the map constantly picking off overlords while his main army threatened the front and zealot runbys and DT drops ravaged the Zerg economy. Despite some really impressive play from effOrt, Bisu’s multitasking managed to always keep him even or ahead on bases (a position you never want to be in as a Zerg player), and eventually he able to overwhelm the effOrt with superior numbers (again, not the kind of spot you want to be in as a Zerg player). While Jaedong and other top Zergs have struggled somewhat on stream, effOrt has been in a league of his own on the ladder, demolishing 5rax builds with ease and stealing ladder points from Protoss players like a high school bully. However, when it came to a live performance, effOrt wasn’t quite able to close out his games. Sporting 400+ average APM, effOrt is definitely one of the strongest mechanical players, but Soulkey outplayed him in terms of strategy and Bisu beat with even better mechanics. His first game against Sea was a brilliant masterpiece of ZvT, though. Adopting HyuN’s strategy of getting fast drops to expand to the island base on Andromeda while teching straight to hive without lurkers, effOrt was able to put on enough pressure with mutas and ling runbys to keep Sea on the back foot while he built up a scary late game army. Sea attempted a few clever drops here and there, but effOrt’s drop defense with scourge was on point. As well as he played, effOrt goes out in the Ro16. Luckily, his record in the SSL Classic is fairly strong, and he got his revenge on Soulkey only a day or two later without much of an issue. Oh Sea. He didn’t even play badly, but he definitely looked like the weakest of the bunch last week. He wasn't prepared for the clever strategies his opponents were throwing at him and missed a lot of windows of opportunity to be aggressive. Despite all that, he’s still a great player and one to look out for in the next ASL. It's Mong vs three very different Protoss players: the macro beast who just has more than you at all times, Best; GuemChi, who is all about the army control and can be as good as Bisu when he wants to be; and Jaehoon, who at times can be enigmatic, or just…..what was the term?—I cannot recall, but nonetheless his abusive PvT style is sure to be of concern to our lone Terran Mong. 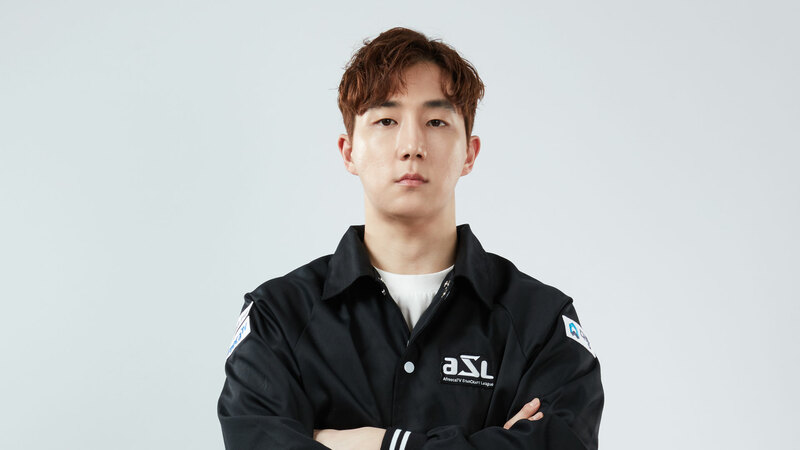 BeSt has been noticeably absent from the top 10 in Afreeca rankings for April despite his ASL2 top 4 run that seeded him directly into the Ro16. Since then, he's only had a couple of games in the ASL Team Battle, where he lost to Rain and beat PianO. Opening against mong is just the advantage that he needs right now with his PvT still being as good as it is. PvP is like a knife fight though, and GuemChi's PvP win rate is just as low (at 35%). Jaehoon on the other hand has not only more games under his belt but is at a higher (55%) win rate in the matchup, becoming his biggest threat. Mong having advanced first in his Ro24 group looking like a monster is only going to help him in this group. Only needing to practice one matchup is also a pretty big advantage. That said, his first opponent is BeSt, who is not only one of the hardest Protoss players to play against, but he also has a 0-3 win-loss ratio against him—definitely the hardest opponent for him. This leaves GuemChi and Jaehoon, both troublesome opponents in their own right, but GuemChi, who focuses on army control, can be forced to mess up pretty easily if his build is thrown off. Terrans in general need to be more aggressive against Jaehoon, otherwise he’ll get his late game army going with carriers supported by arbiters. Jaehoon got put into a group which looks exactly like his Ro24 group, except for the fact that Mong is a better TvPer than Light, but the tradeoff is that BeSt is no Bisu and his PvP skills are nowhere near that good. The same goes for GuemChi. GuemChi is going to have a hard time for sure opening up against Jaehoon, who has better PvP than him. That leaves him facing off against Mong or BeSt, BeSt is the better option due to similar PvP skill. Playing against him would make it possible to come out of the loser’s game, but having to face of against the choice of Mong or Jaehoon—and in this case, it would more likely be Jaehoon—would again leave him in the same situation as the first game. While not as Ridiculous as Group B, Group D is also quite the Group of Death featuring two former SBENU Starleague Champions sSak and hero, literal machine god “AlphaGo” Last, and most importantly the Tyrant himself Jaedong, all gunning for the Ro8. I think this group has a better storylines than Group B though. 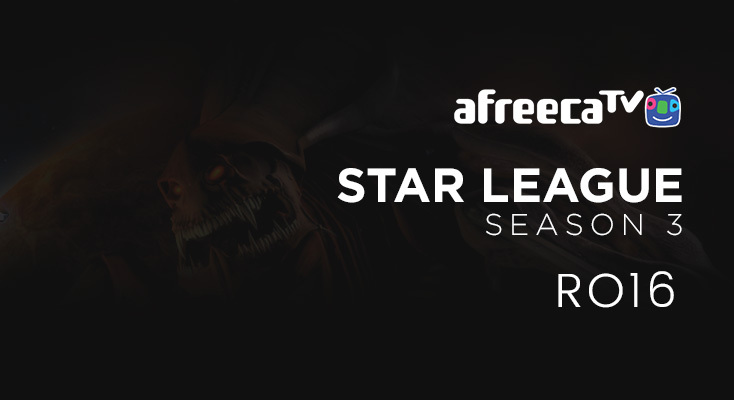 After a surprisingly close Ro4 series against Flash in the ASL2, Jaedong has been practicing like a madman—(if you, my dear reader, have not been watching his stream recently, please stop reading this preview. You still have time, go watch his highlights)—and while at times he was showing a lot of weakness in the ZvT matchup, a lot of people pinned their hopes on Jaedong being able to solve it. Luckily, over the last week he has finally been coming into form against Terrans and found a sense of comfort in the matchup. It’ll be interesting to see how he’ll perform in his opening game against sSak, who has been hitting his second wind as a A class player in the current scene where the level is much higher than it used to be when he was on the top. Last has been consistently better than almost everyone else in the Afreeca scene for so long, so it's a wonder he hasn’t won any offline tournaments. Until he does, can people consider him to truly be S-Class? Regardless of his accomplishments on a daily basis, Last has just as much to prove as Jaedong. I would like to see a preview in this group of what could be an eventual Bo5 clash between these two wills, although standing in his way is the highest placing Zerg in the spoon match scene, hero. The Zerg player has suddenly crept up in the ladder after failing to impress. It was around this time in 2015 that hero hit his stride as a player, eventually winning the SBENU Starleague Season 2, and showing that second wind coming in this group will really prove his skill to everyone. Opening sets being on Andromeda gives Jaedong and hero an advantage against their Terran opponents due to it being such a large open map and harder for Terran to play mech on than most other modern maps. If only one of them wins their opening game, it's going to be that much harder for either of them to advance considering that Winner/Losers games are played on Camelot, which is pretty Terran favored in the matchup. If at least both of them win or lose their opening set, they would only have to face each other on Camelot, and the loser would face one of the Terrans on Circuit Breaker. While Circuit Breaker isn't that good for Zergs, its certainly better than Camelot. Group D is so stacked as well, can't wait for Jd to show some good ZvT games. Ive been barking about group C for days now. I really hope to see 2 protoss make it. If so, they would be 3/8 with over 1/3rd of the race spread for R8. Mong is definitely in good shape though, so I wouldnt count him out just yet. We know Best is a top tier player, and Jaehoon is in great form so far in this tournament. Will today be the day of the protoss? Find out next time on dragonball ASL!! Very good games so far, can't wait to see more! Bisu's probe control vs. Sea was unreal. Pretty awesome group to watch! I'm enjoying the writeups. Does anyone know when Ro8: Bo5/quarterfinals starts? It's unbelievable how EffOrt hasn't been going through the opening round with how well he's playing. On a more pleasant note, the maps have shifted how the game is played in a great way. Race representation isn't perfect yet but seeing Terran not being up 1 base on all other races at all times has brought back a lot of the BW I remember. And who knows, maybe 6 months from now someone will attempt a 3 hatch muta opener. I was really impressed by Bisu coming back like he did. Never liked him before but he made me a fan. Loved Shine doing well but its going to be very unfortunate if he gets 0-3'd in the RO8. Any chance he can mu with jaedong?